Harare - Robert Mugabe was persuaded out of office three months ago - but he still wears his trademark suits, it was reported on Sunday. Father Fidelis Mukonori helped persuade Mugabe, who turns 94 this week, to step down after a military takeover in November. Mukonori is Mugabe's longtime confessor. The priest told the privately-owned Standard newspaper that he is in constant touch with the Zimbabwean ex-president and visited him "a few weeks ago". He claimed Mugabe looked "happy and healthy". Harare – Zimbabwe's ex-president Robert Mugabe has reportedly not said a word since the death of his toughest rival Morgan Tsvangirai. The former trade union stalwart, who posed the most formidable challenge to Mugabe’s nearly four-decade hold on power, died on Wednesday last week in a hospital in South Africa where he was being treated for colon cancer. 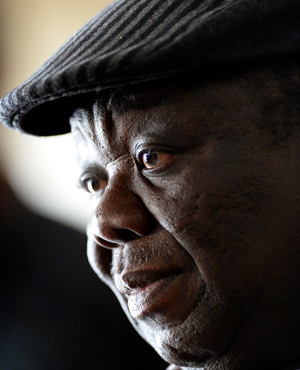 Tsvangirai, 65, founded the MDC in 1999. He was among the most prominent critics of Mugabe, the long-time authoritarian leader who was ousted from power in November. 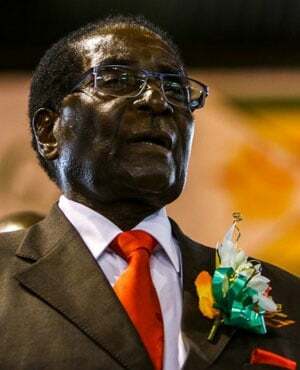 According to New Zimbabwe.com, Mugabe has kept a "conspicuous silence" over his long time rival's death. Harare - Zimbabwe's president on Sunday visited the home of deceased opposition leader Morgan Tsvangirai to pay condolences to his family and to urge unity as power struggles within the opposition have heightened tensions. President Emmerson Mnangagwa pledged that his government will meet hospital and funeral expenses for Tsvangirai, who died of colon cancer last week in neighboring South Africa. Khartoum - Sudan on Sunday released dozens of opposition activists arrested last month in a crackdown on protests against rising food prices, an AFP correspondent reported. The release of detainees, including some top opposition figures, came three days after the US embassy voiced concern over the arrests and said many of them were being held in "inhumane conditions". Those released emerged from Kobar prison in northern Khartoum shouting "Freedom! Justice! Revolution!" the correspondent reported, after authorities had invited journalists to the scene. 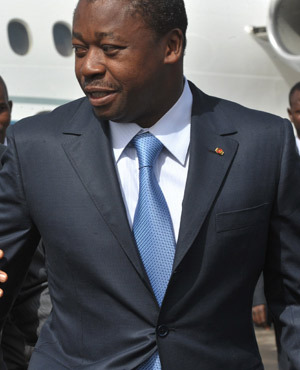 Lome - After six months of political crisis, a dialogue between Togo's government and the opposition opening on Monday is seen by many as the last chance to resolve a bitter dispute over the rule of embattled President Faure Gnassingbe. But the talks have raised a welter of emotions in this tiny west African country, ranging from hope to incredulity. "It's a 'last chance' dialogue. It is in the interests of both the opposition and the government to do everything to put an end to this unstable situation," shopkeeper Joel Afandjigan told AFP.